DramaScape makes maps and miniatures for use with any game system with a focus on fantasy, horror, modern, and science fiction settings. 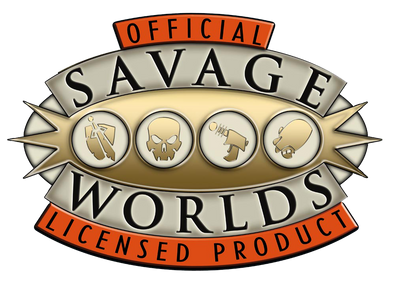 This product is the usual DramaScape map but also comes with a Savage Worlds Adventure, it can be used with or without the adventure. This product is a 48 x 30 inch map of a Big Top, it comes with Square, Hex and No Overlay and also contains the Virtual Tabletop files for online use. DramaScape takes everyone out to the carnival with our latest map. What is under the Big Top? Big Top shows the interior of a giant traveling circus tent with a center ring viewed from front row and bleacher seating. The exterior of the tent shows the ropes attached to tent pegs outside that hold up the big top. Big Top is intended for use in modern, pulp, or Horror-themed games. Cirque de Tromper is a Horror-themed Savage Worlds adventure for use with this map. Cirque de Tromper: A traveling French circus named Cirque de Tromper touring the United States has gained an almost cult fame lately for putting on amazing shows. However, rumors persist of mysterious disappearances of audience members who attend the show. They go to watch the shows but do not return.